SkinWhite USpark: Sparking A Bright Beautiful Change In Campuses. These are just some of the negative experiences that can darken college life for girls. Issues such as bullying, shaming, and gossiping happen on campuses everywhere. Chances are, you have seen these happen or you have experienced these yourself. As the market leader that stands for bright beautiful possibilities, SkinWhite believes that it’s time to take a stand against negativity. It’s time to spark a change that’s not just skin deep by letting girls inspire other girls. It’s time to bring girls out to the light and let them sparkle with bright possibilities. That’s why this 2016, April becomes the brightest month for girls who will stand up to outshine negativity. It’s the chance for girls to prove how powerful they can be, and how empowering they can become— that they can be - #BrighterTogether. SkinWhite is proud to introduce its chosen advocates for U Spark 2016 who are all active in spreading positivity not only in their schools, but also in everyday life. They are Martina Reyes, Sabine Dualan, Bea Alcañeses, Crisselle Asuncion, Allysza Marasigan and Klaire Ellise Dulay. Martina believes in the power of kindness. Sabine sees the value of individuality. Bea is active in promoting the welfare of Filipino children. Criselle is a youth leader who believes that everyone should be given enough chance to nurture his or her talents. Allysza believes with her heart that nothing is impossible in this world. Klaire’s cheerful and shiny disposition is so contagious that she spreads positivity and inspires lives. 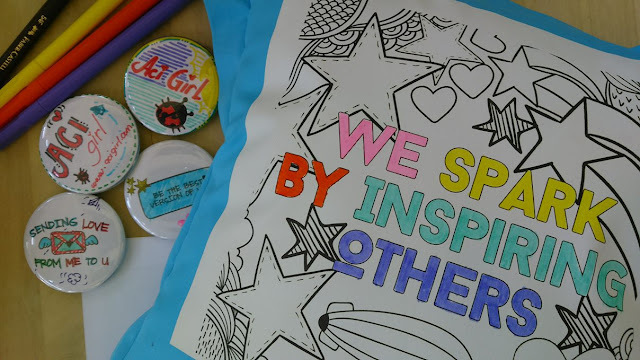 With each of the girls showing their own display of a beautiful heart inclined to inspire others, the six U Spark advocates were chosen to help spread goodness and kindness around the campus. 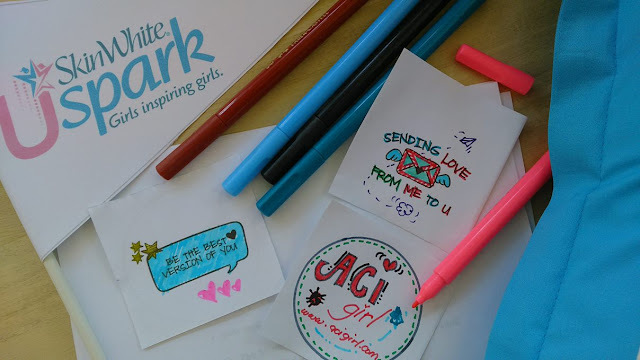 It’s time we let girls graduate from negativity and shine brightly with beautiful brighter possibilities with SkinWhite, U Spark Advocates and you!